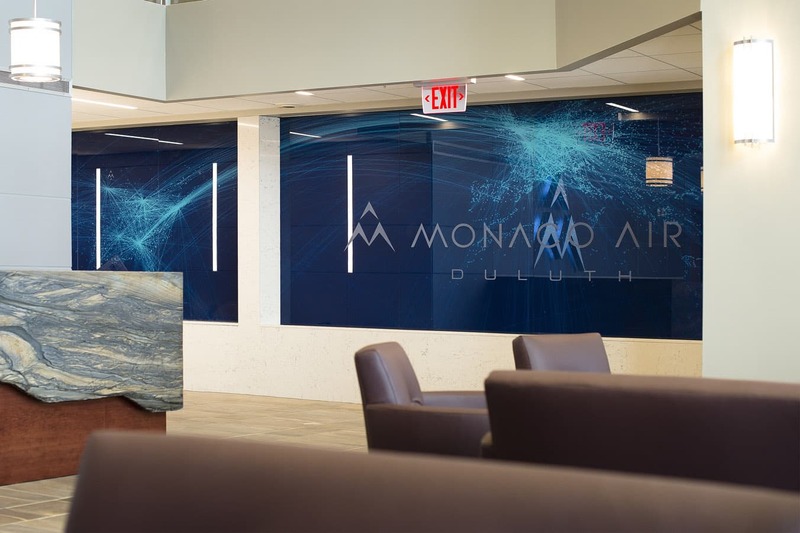 The Monaco Air fixed-base operation caters to private aircraft, crew and passengers. 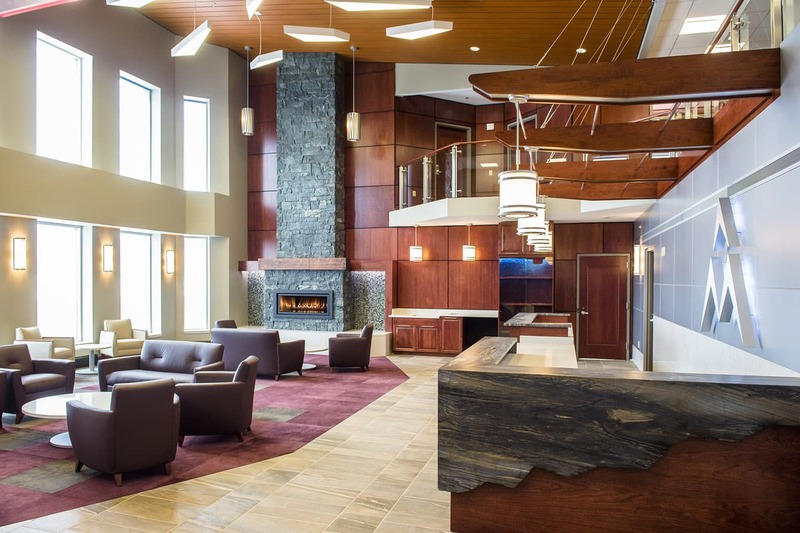 The expansion of the facility was designed to evoke an inviting, comfortable and first-class business atmosphere to reflect the service-oriented nature of the company. 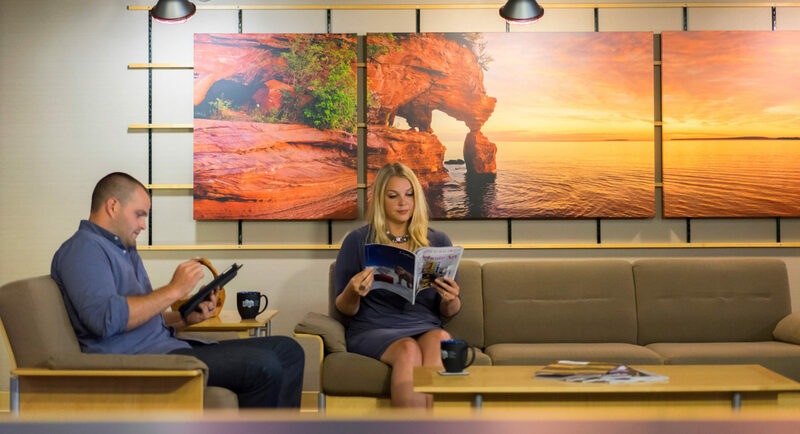 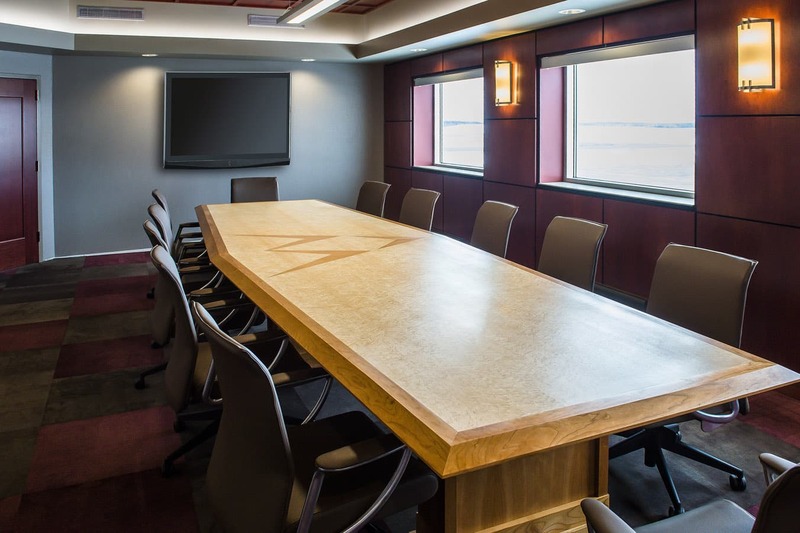 The facility offers three seating areas to accommodate passengers from multiple flights, an upper crew lounge, catering kitchen, conference rooms, fitness room and numerous windows for natural light and watching the air strip. 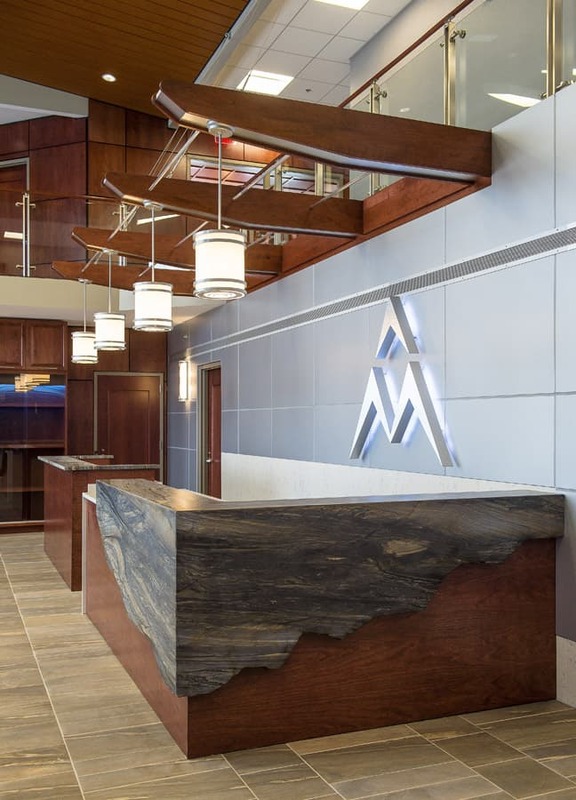 From bluestone in the fireplace to reclaimed wood in the mantel, the inspiration for the building’s design came from aeronautics, Monaco’s brand and the area’s natural environment. 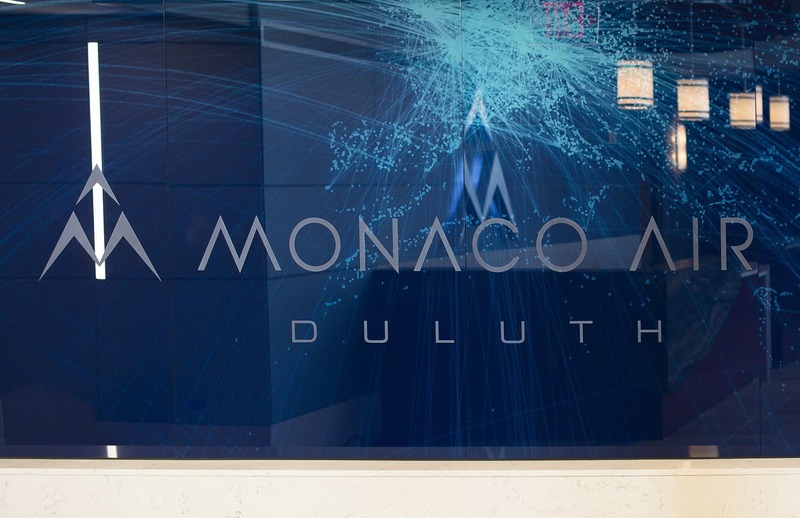 The second phase of the project consists of turning the existing space into U.S. Customs quarters to more easily serve Monaco’s international clients as they enter the United States.